Happy 100th Birthday Oreo Cookie! You know it, you love it and now you can wish it a very Happy Birthday. Yes, that snack treat consisting of sweet, white cream filling sandwiched between two circular chocolate pieces — the Oreo Cookie — is 100 years old today. 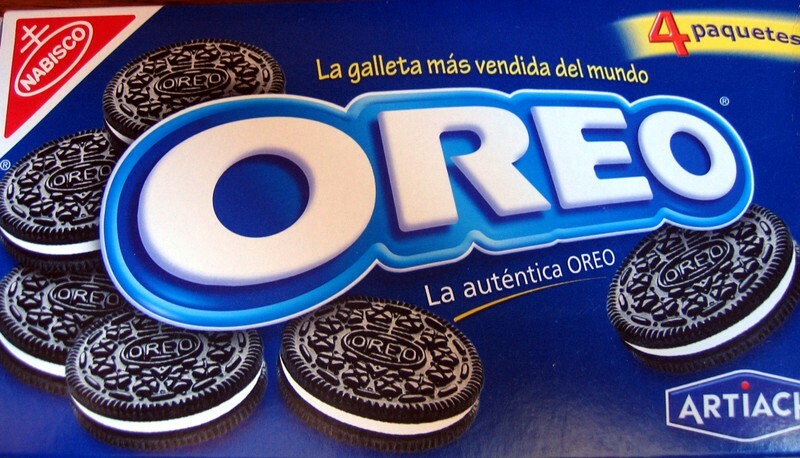 According to Wikipedia, the original design of the cookie was simpler than the current design, with a wreath around the edge of the cookie and the name “OREO” in the center. In the United States, they were first sold for 25 cents a pound in novelty cans with clear glass tops. A newer design for the cookie was introduced in 1924.A lemon filled variety was available briefly during the 1920s, but was discontinued.The modern-day Oreo design was developed in 1952, perhaps by William A. Turnier, to include the Nabisco logo.